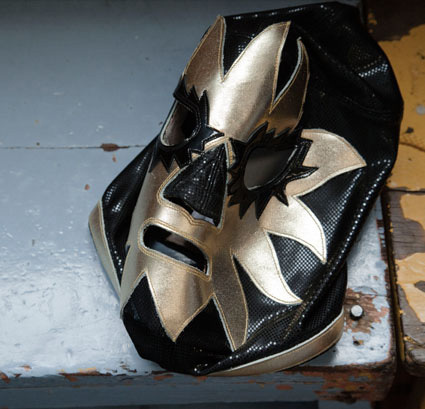 From the director of the acclaimed Foto-Novelas, Tales of Masked Men explores the fascinating, mysterious world of lucha libre and its role in Latino communities in the United States, Mexico, and Latin America. 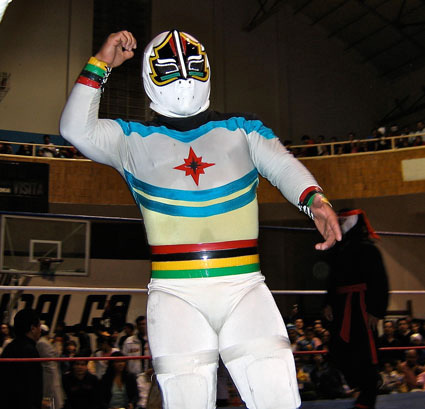 Famous for its masked wrestlers and called by one aficionado “a sport in the key of melodrama,” lucha libre is part circus, part athletic contest, part theater. The sport inspires passionate loyalty while contributing a lasting cultural idiom to America’s pop culture landscape. Avila made his feature directorial debut with New Line Cinema’s Spring 2000 release, Price of Glory. Avila was awarded the 2001 ALMA (American Latino Media Arts) award for Best Director for his work on this film. Avila caught the attention of the film community in 1991 with his short Distant Water, a coming-of-age story set in Los Angeles in 1943. The film won the Gran Prix at the inaugural Film Festival of International Cinema Students in Tokyo and went on to be shown at the Sundance Film Festival, The Whitney Museum in New York, the Americas Film Festival in Washington D.C. and San Antonio’s CineFestival. In 1997, Avila created the television series called Foto-Novelas, the four half-hour dramas were inspired by the Mexican and Latin-American pulp novel and comic book tradition. Avila wrote, directed and produced the highly-acclaimed series. The series was recently added to the permanent collection of New York’s Museum of Television and Radio. He recently completed two new episodes, entitled Broken Sky and Junkyard Saints, which were broadcast on PBS in Fall of 2003. In 1993, Avila co-wrote, produced and directed the American Playhouse drama, La Carpa. Set in rural Southern California in 1938, the story follows a day in the life of carpa, or tent theatre, as it prepares to entertain Chicano laborers and their families. He is currently working with producers Stuart Benjamin (the upcoming Unchain My Heart: The Ray Charles Story and La Bamba) on Fast Boys, and ensemble story which he has written set in the San Antonio rhythm and blues scene of the early 1960′s. Avila is also developing a documentary entitled, Masked Men, about Lucha Libre (Mexican professional wrestling) and the tradition of the masked wrestler. Avila participated as a Directing Fellow at the 1995 Sundance Directors Laboratory and also received an Intercultural Media Fellowship from the Rockefeller Foundation. A graduate of UCLA’s School of Film and Television, Avila grew up in the Los Angeles neighborhood of Echo Park. He is a member of the Directors Guild of America.